The freight rate from the Baltic to Amsterdam-Rotterdam-Antwerp region continued to rise Friday to its highest level in two years, as Russian producers are reported to be increasing the volume of offers to Europe ahead of winter, sources said. “Russia wants to remain competitive,” said a European utility trader, adding that Russian sellers have been adamant in keeping their dominant foothold in the ARA market. 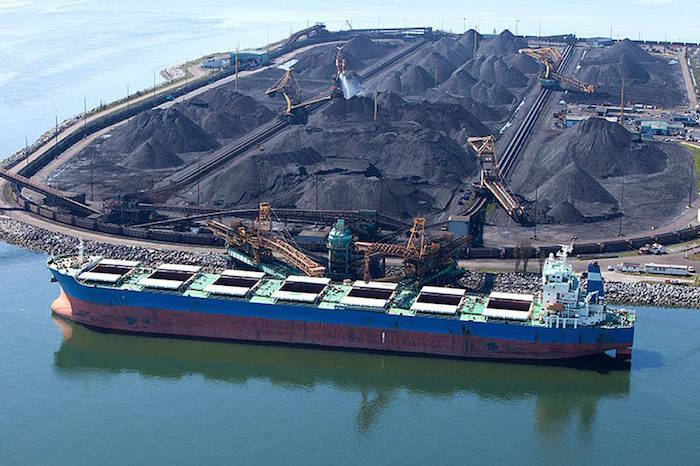 Freight rates to move a 70,000 mt coal cargo from Ventspils, Latvia to Rotterdam, rose 25 cents Friday to $9.50/mt, the highest since December 14, 2016, as demand increased for moving coal cargoes into ARA from the Baltic Sea before the ice settles in the region. These rates had weakened significantly during November, following a general slip in freight rates across much of the Atlantic region. However, there has been some significant upside as winter approaches, freight sources said. This week marks the start of the period in which vessels need a special pass to move within the Baltic. This restricts tonnage in the region significantly and will drive costs up further, as will the cost of ice breakers, which will need to be used further into the winter months to move products. This restriction in tonnage is expected to have a more bullish impact on Panamax freight rates than the smaller Supramax and Handysize freight markets, as with the additional costs involved into winter, traders will likely look to move larger parcels on fewer vessels, thus minimizing their exposure to these strong freight rates, sources said. As a result, traders are eager to move product out of the Baltic while costs are still relatively low. “[Russians] are pumping out cargoes,” said a European trader. “Russian coal is everywhere,” he said. Another European trader said it is likely most producers will have ice-class vessels, though for ease of logistics, they would want to ship as much volume out as possible. “For sure it is better to ship as much as possible by early January,” the trader said, commenting on the recent bullish trends. S&P Global Platts assessed the weekly FOB Russia Baltic 6,000 kcal/kg NAR, 90-day price at $82/mt Friday.